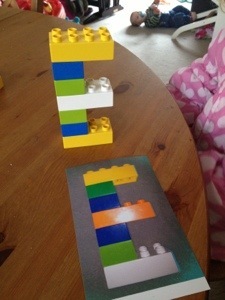 Today we have been concentrating on letter and pattern recognition with duplo. 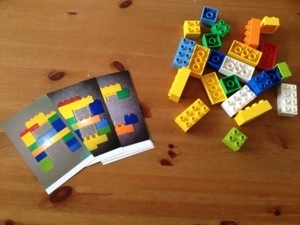 I printed out some of the photos and bagged the bricks I used to make it easier for my 2 year old. Because of her age we worked together. I told her the the sound of the letter and also a word, “AAA, A for apple”. 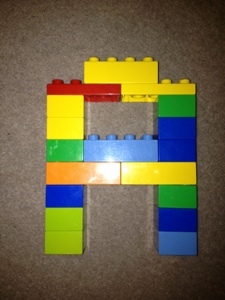 We then set about building the letter the same as the photo. 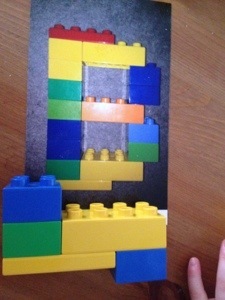 We found the bricks we needed and counted how many we needed to build. She quite surprised me with how quickly she got the hang of this activity and started taking the lead and even comparing her letter to the photo. She quickly worked out that this one was wrong. 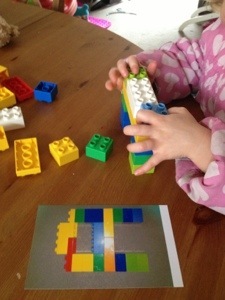 She loved this activity with the counting and working out what went where. 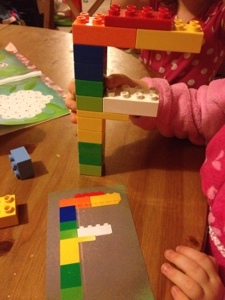 I am planning to do this with my 4 year old but for her I will also have the rule that the colours of the bricks also have to be the same as the photo to make it more difficult for her. My only problem now is my 6 year old boy wants me to do some for him!!! 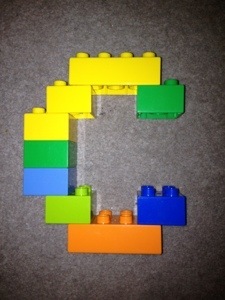 You could also use this idea for numbers or just a pattern if any design. Hope you all have fun building. 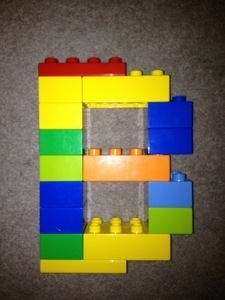 This entry was posted in fine motor skils, literacy skills, maths. Bookmark the permalink.